Recreating classical architectural designs with maintenance-free and energy efficient modern structures, Four Seasons offers masterpieces of design in its English-Style Conservatories — where classical design and contemporary construction combine for the ultimate in all-season luxury living. Four Seasons conservatories combine structural integrity, versatility, and unmatched insulation and solar control glazing. 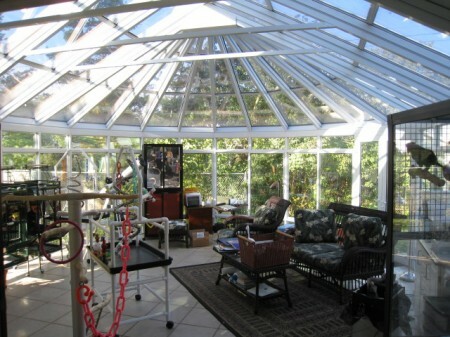 Whatever the season Four Seasons Conservatories provide elegance, comfort and beauty for your family. 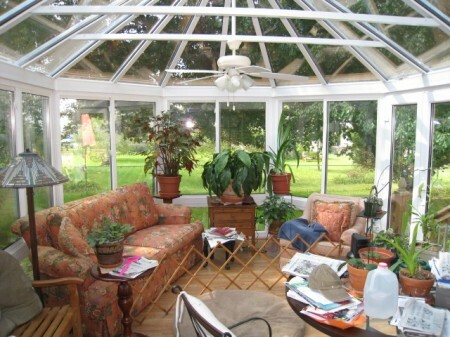 This inviting and airy vinyl conservatory has large sliding windows and a sliding door. 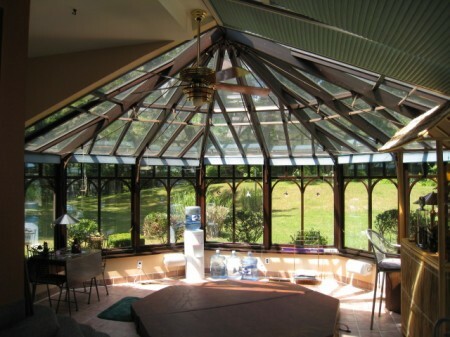 This expansive aluminum conservatory has sliding windows and classic French doors. This is an exterior view of the conservatory shown above. It looks as beautiful outside as it is inside. 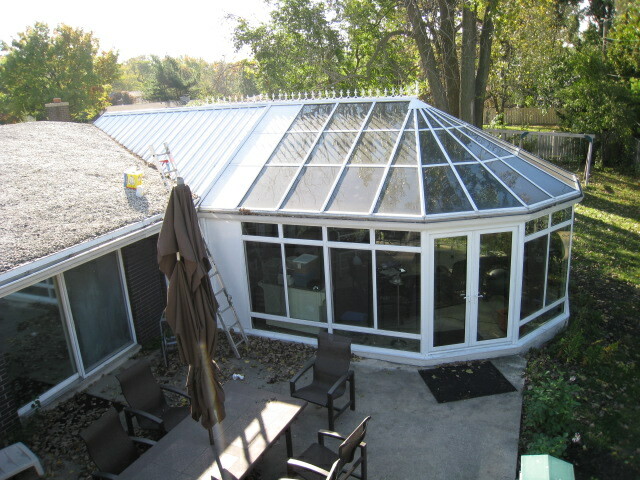 This conservatory is also of aluminum construction, but sports a warm, wood interior.